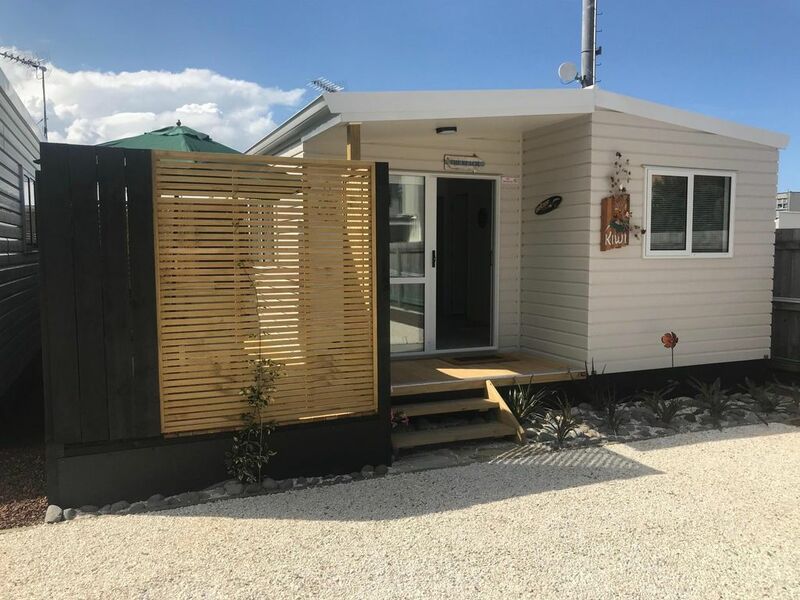 Self-contained new, private cabin in the heart of CBD Orewa. This Kiwi Cabin offers an experience similar to a "tiny home" with all that you need contained. The cabins offer privacy and ample secure parking. The surrounding topography is flat with many shops, cafes, restaurants within 100m. Bus stop is 25m from the front of the property. The white sand beach 250m with an esplanade or walk on the sand. Nice cabin. Clean and tidy. Good location in walking distance to shops and restaurants.